Join the Arlington Public Library and Animal Services at the tenth annual Black History Month Festival on Sunday, February 17 from 2 to 6 p.m. This festival marks a decade celebrating and honoring the contributions of the African American community in Arlington and beyond. In addition to performances from local arts groups and award-winning essay readings, this year’s event features an in-depth discussion on Black photographers and a travelling exhibit on Martin Luther King, Jr.
Beginning February 1, view an exhibit on Martin Luther King, Jr. at the Southeast Branch. “The Road to the Promised Land: Martin Luther King Jr. & the Civil Rights Movement” is an exhibition presented by Humanities Texas, the state affiliate of the National Endowment for the Humanities. Featuring photographs, facsimiles of landmark documents and quotations by Dr. King and others engaged in the struggle for civil rights, the exhibit surveys the Civil Rights Movement from the emergence of Martin Luther King Jr. in the Montgomery bus boycott of 1955 through the 1990s. “The Road to the Promised Land” will be prominently featured during Black History Month Festival on February 17. The exhibit will remain at the Southeast Branch through February 28 and will be available during the Southeast Branch’s regular business hours. Black History Month Festival will begin with a discussion on influential 20th century photographers. TCC Southeast Profession John Neal Phillips will present a lecture on Gordon Parks and James Van Der Zee. Gordon Parks, who was born in 1912, and James Van Der Zee, who was born in 1886, were noted African American photographers in the 1900s. Professor Phillips will discuss their work and cultural impact beginning at 2 p.m. Enjoy live music by the TCC Southeast Jazz Combo at 3 p.m. before performances and readings begin at 3:30 p.m. Chrishandra Huff, Animal Services manager, will emcee. Performing groups include the Ashworth Elementary Musicians, Step By Step Dance Studio, the Bebensee Beats Step Team, and the Household of Faith Church. Winners of the 2019 Martin Luther King., Jr. Celebration’s art and essay contest, and the Animal Services Heritage Program contest, will also attend to read or display their winning entries. Special family activities will be available in the children’s section, and snacks will be provided by Household of Faith Charities. 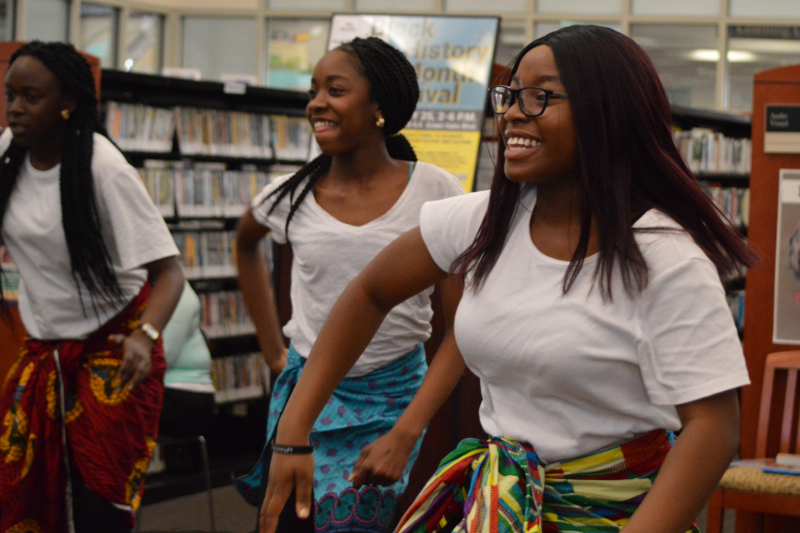 Click here to read more about Black History Month Festival at the Library.